Sachin Tendulkar has written a letter to Transport Minister Nitin Gadkari about two-wheeler accidents which amounted to over 30% road accidents in 2016. Sachin Tendulkar has long shown concern for the alarming road conditions in our country and the total apathy towards road safety. He had earlier written to the Union Road Minister, Nitin Gadkari urging him to take action against manufacturers of low quality helmets. He stated that good quality helmets were the need of the hour as it was the non use or lack of quality helmets that caused the most road accidents in the country. Tendulkar has stated that only good quality ISI helmets should be used and has even suggested that prices should be lowered so that all riders could afford these quality helmets and not choose from cheaper and more dangerous options. Tendulkar has cited alarming statistics with regard to road accidents. A report suggests that 85% of helmets sold in India are of poor quality and do not comply with ISI standards. There are over 2.75 lakh helmets produced per day by over 275 helmet manufacturers in the country that should be made available to customers at more attractive prices. 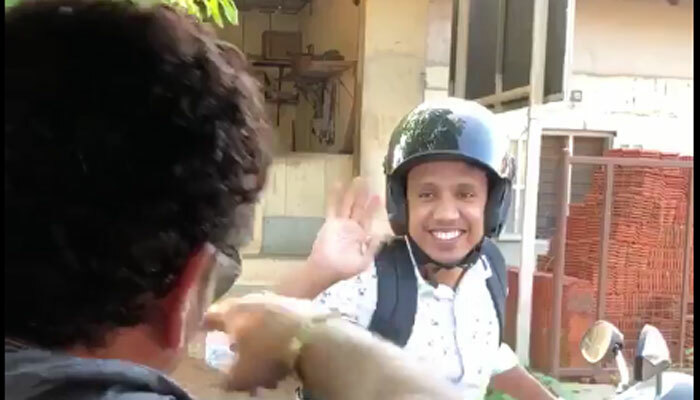 Tendulkar has even uploaded a video on his Facebook page approaching a couple on a two wheeler, requesting them to wear a helmet. He has even urged the pillion rider to wear a helmet so as to be protected in the event of an accident. In response to these concerns, Nitin Gadkari has approached Tendulkar to be the new Road Safety Ambassador. Tendulkar’s reply to this is yet awaited, but it is hoped that he will take up the offer specially considering the immense impact that the Master Blaster has on the minds of the public. This could go a long way in easing the number of two wheeler accidents and calamities in the country.